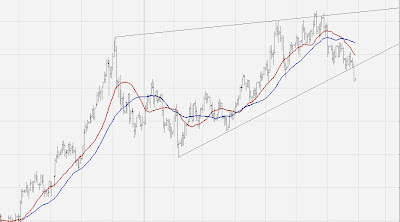 The last time we looked at this chart we saw how scrap gold prices bounced twice on the bottom of the wedge. The scrap gold prices has since broke out of the wedge. Typically the price should continue down quite dramatically. 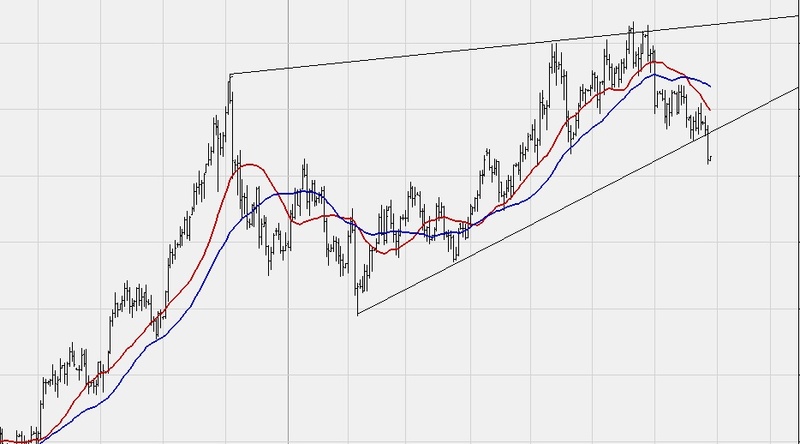 If however it hovers around its current price the we may need to redraw the wedge taking in the lower price. Today however the scrap gold price dropped below the all important 1174 mark where there was previous strong support.